What better way to enjoy outdoor living here in Southern California than a backyard summer barbecue with family and friends! A terrific way to showcase your outdoor space is a patio of natural stone or pavers. Don't stop there, a natural slate wall cladding can add such value and beauty to your home. Pools, fountains and walkways are just some of the other areas that will tastefully and richly benefit from our incredible selection of tile. Foothill Tile & Stone Co. also offers a library of decorative accents to enhance that outdoor space. 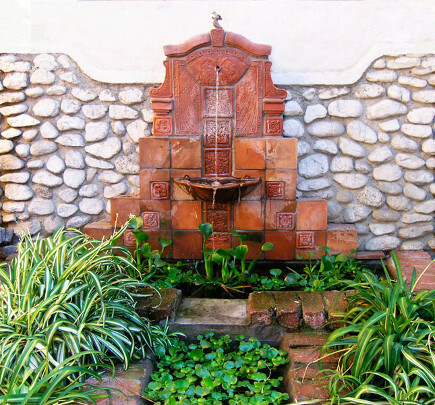 A mission courtyard in a Spanish Revival home or a zen setting in a more contemporary home can all be enhanced with the vast array of tile we have on display at our beautiful showrooms.